There are 2 reader responses to "J.D. 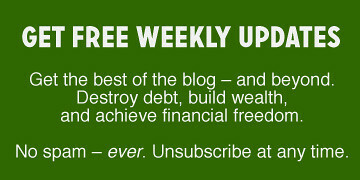 on the NewRetirement podcast: Financial independence, purpose, and happiness". Well said JD. Money is a tool. One of many we can use to find our purpose and achieve happiness. They tend to be closely associated because as employees most people spend their most valuable resource (time) helping somebody else achieve their dreams. I never thought time was the most valuable resource. Maslow in his hierarchy succinctly defined what was important. Nowhere is time mentioned. Rather, I consider health to be the number one value in life. Pre-retirement this sometimes gets lost in the work/life imbalance. Once retired, it is quite apparent that a lot of things previously held important (like valuing time) means little. Good health is the best thing for yourself and your family. Even considering the value of time disappears when the fog of employment blows away. I think proactive people “waste” time as fast as they can. Waste meaning giving it away to health, to others, to goals. Reactive people hoard their time or spend it on frivolous quests like celebrity tracking, tweeting, ranting at news articles….